Conyers Dill & Pearman director Sophia Greaves will be part of a panel discussing ‘Women in the Captive Industry: Empowering Industry Awareness’ at the Bermuda Captive Conference next week. A spokesperson said, “The theme of this year’s conference is Diversity. Ms Greaves and two other female leaders will share their professional journeys, success strategies, and approaches to career progression. “Notwithstanding the significant strides made by women in the financial services sector, there remain a number of barriers to female leadership in the industry,” said Sophia Greaves. “Homogenization of the “female experience” can be obstructive across many industries. Like our male counterparts, concepts of “success” and “leadership” for women are unique to the individual. “Ms Greaves joined Conyers in 2010 and was promoted to director in 2016. 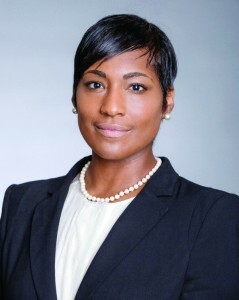 Her practice spans a number of specializations, with particular emphasis on securitizations, mergers and acquisitions, banking regulation and [re]insurance transactions, including the formation, licensing and ongoing regulatory requirements for Bermuda captives, special purpose insurers in the insurance-linked securities sector and commercial [re]insurers.